This year will be the 45th edition of his superb race in the sun Volta ao Algarve, including the very best professionals in the world at this early season spectacle in Portugal. 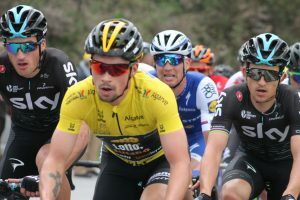 2018 show cased the strength of Team Sky (GBR) with both Geraint Thomas and eventual winner Michal Kwiatkowski fighting for victory. In 2019 expect strong opposition from; Deceuninck-Quick Step, Bora-hansgrohe, CCC Team, Groupama-FDJ, Lotto Soudal, Team Dimension Data, Team Katusha Alpecin, Team Jumbo-Visma, Team Sunweb, Trek-Segafredo and UAE Team Emirates. 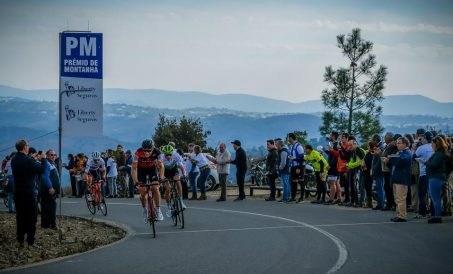 In addition teams from; France, Belgium and Portugal make this a truly International event and the perfect place to be this February for great cycling and action in the sun of southern Portugal. 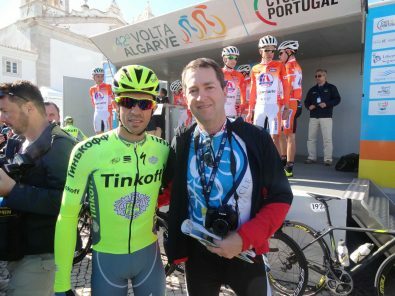 This premium bike tour brings you up close and personal at the Volta ao Algarve race with our “unique viewing spots” only achievable from the experienced Algarve based bike tour team. Enjoy an amazing variety of tailored rides, fully guided amongst breathtaking scenery in the natural Algarve, Portugal. This proven Practice Bicycle formula of the ideal balance between quality rides, race viewing and relaxing is enjoyed by all our discerning bike riders and non-cycling guests. Escape the cold and be motivated amongst the hot race action in the Algarve this February. Stars of the future and present show why they are world class on the roads of the Algarve. 2015 Vuelta a España winner Fabio Aru along with the German stage race star Patrik Konrad and Arnaud Demare will all be looking for their first victory of the 2019 season. With a combination of sprint stages, mountain summits and a Time Trial expect to see the best stage race riders fighting for the overall classification on the challenging roads of the Algarve in 2019! Can’t get enough of Algarve cycling? 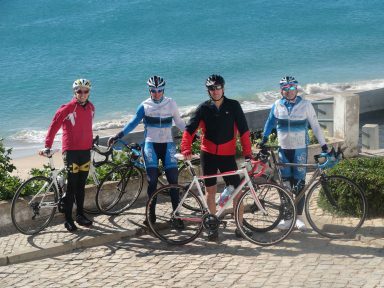 We also offer both our Algarve bike trips and training weeks before and after the Volta ao Algarve. Why not extend your holiday and enjoy a day or two of great cycling on the roads of the Algarve? Activity Level We tailor the daily routes with our Bike Race Tours to meet your riding requirements and abilities, only possible with local knowledge from the team that live it! 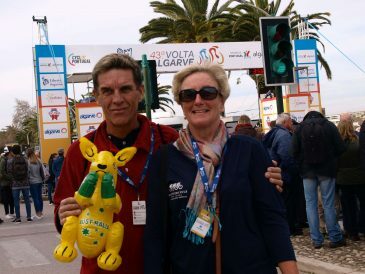 The perfect tour packages for the Non-Cyclist to join their cycling wife/husband/partner at the Volta ao Algarve Bike Race Tour in February. 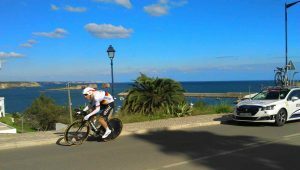 With your preference to be less energetic, enjoy the sights of this Algarve International race spectacle from the comfort of the support vehicle or should you prefer a rest from the race action, relax by the beach. Share the most famous secret of Europe, the Algarve coast and the mountains of the Sierra Monchique …come and relax Algarvian style! We loved the starts and finishes of the stages with our VIP up-close access, were thrilled by the sight of the riders passing, savoured our most delightful coffee and lunch stops. That gorgeous lunch in Monchique stands out as a highlight! 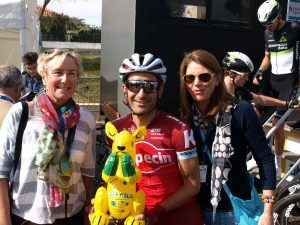 I know now why David considers his previous trip with you to the Tour de France in Annecy as such a special memory - the care and thought that you put into our journey made it an extraordinary experience. Don’t miss out in 2019 reserve your place above. 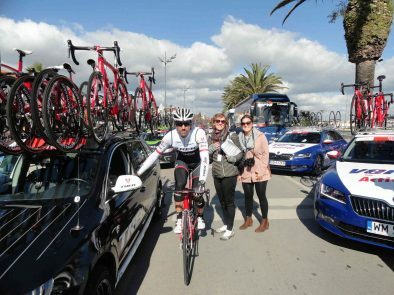 Arrival Day in the Algarve and Welcome to Portugal and the Volta Algarve! With the race action starting tomorrow, enjoy a relaxing day at the Hotel and should time permit, turn the legs with your first ride on the roads of the Algarve and the amazing spectacle of this unique coastline of rocks, beaches and sea. This evening join us for drinks and dinner overlooking the stunning coastline of Portugal. The Volta Algarve 2019 action begins today with the opening stage and longest at 199km and 2500m of climbing not the easiest way to start your season on the roads of Portugal. 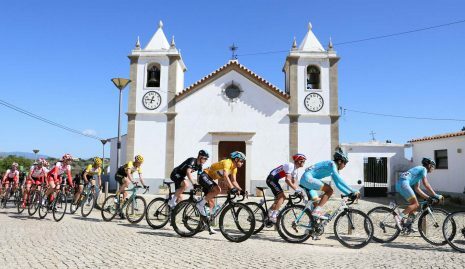 The first stage of this superb week is often one for the super-fast sprinters of professional cycling as the stage route weaves its way between two of the Algarve’s most popular summer holiday destinations Portimao and Lagos. It’s also our first opportunity to catch up with all the stars of the peloton in 2019 at the stage start in Portimao before your first taste of this amazing cycling destination as we explore inland and the natural beauty of cycling in the Algarve. With a choice of tailored rides on offer from the Practice Bicycle team pick the ideal ride for you to catch the peloton live from the roadside on the great roads of the sunny Algarve. 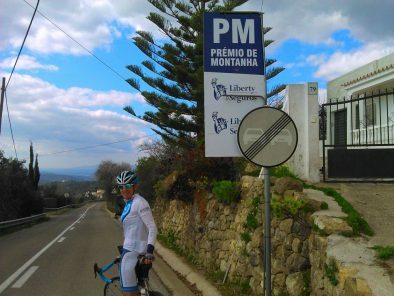 Today the Volta Algarve stage race hots up in more ways than one with a route into the Serra de Monchique and the highest point of the Algarve at the summit of Foia (900m). Included in the stage route are several very steep inclines, hidden amongst the pine forests, with this terrain expect the peloton to split up and the general classification and potential winners to show their climbing form at the summit of Foia. This is going to test early season legs with 3 Category Climbs and 3600m of ascent during the stage route and after a super-fast day yesterday this contrast will shake up the General Classification! This morning take on one or several climbs as we explore this fantastic mountain range to watch the race action live. With a great network of roads we can tailor this ride route perfectly and expect to be amazed not only by a fantastic day in the saddle but also the amazing panoramic views on offer throughout the day. These roads are ideal for building not only big legs but also a big appetite; we have one of our favourite hearty mountain restaurants available to you for a lunch stop today! Today is the “Race of Truth” the Time Trial stage for the professionals; it may not be very long at 20.3km although after yesterday’s difficult day of climbing this stage could have a big impact on the overall standings. 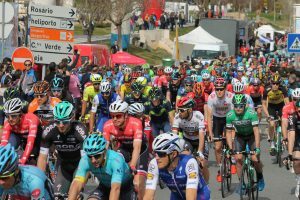 With this variety of different stages during the week it’s another reason why a visit to the Volta Algarve stage race is more interesting than many race viewing occasions and it’s not only about blue skies and fun in the sun in February! The TT for 2019 is a technical route; it could spring a surprise or two for those who don’t checkout this critical short stage at the Volta. With our legs tested on the Serra Monchique yesterday we may need a more relaxing day with a flat day in the saddle and what could be a better excuse than watching the world’s best riders against the watch in full flight on the wonderful roads of the Algarve coast. With the 2018 Volta ao Algarve general classification starting to take shape after the time trial, the fast finishers get a chance to show their sprinting legs once again with a bunch sprint on the streets of the town of Tavira. The stage route takes the peloton from Albufeira before a big loop north over a difficult route with over 2800m of climbing before returning to the finish line back on the coast. Enjoy a choice of comfortable or challenging routes as we work our way across the Algarve, using hidden roads great for cycling and surrounded by nature before the perfect café appears in time for a well-deserved stop. It won’t be long before the speeding peloton arrives and we can be amazed at the speed of the best professional cyclists in February on the amazing cycling roads of the Algarve. Our final Algarve cycling adventure together today will trace the picturesque landscape passing row after row of citrus trees, this area is renowned for some of the best tasting oranges in the world as we join the race action in the Serra do Caldeirao mountains. With a great variety of rides on offer throughout the week make the most of this final opportunity in the Algarve and enjoy every pedal stroke. This gripping Volta Algarve race maybe decided on the final slopes of Malhao (508m) climb, with 2 assents of this short but difficult climb coming at the end of 5 days of hard fought racing. 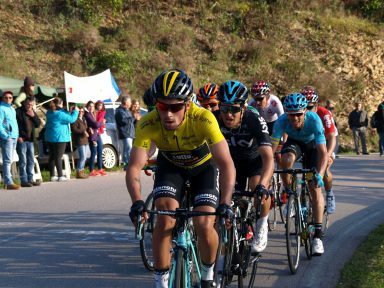 Many of cycling’s very best stage race riders have shown their early season form at the Volta Algarve each year, expect to see one of the best stage race riders take the title in 2019 for a fitting finale to a memorable week of cycling together. This evening we will transfer you to Faro Airport for your onward travels from Portugal. We love a challenge as much as we love cycling. 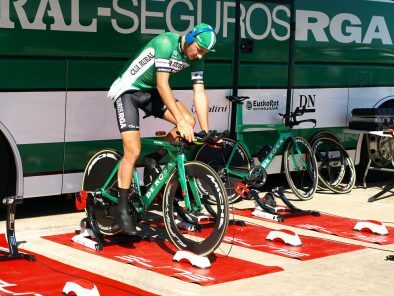 The team at Practice Bicycle has a history in professional bike racing and coaching, so if it’s a challenge you are looking for, we can definitely find just the right rides for you during the Volta ao Algarve. If you are looking for a great week of challenging rides to improve your cycling including professional coaching advice during your cycling vacation, then consider our winter and summer training camps. Here is just a small selection of what awaits you off the bike when visiting the Algarve: Amazing beaches for the perfect stroll, Spa treatments of the Ocean and Mountains, Shopping favourites Cotton and Linen, Leather products handbags and shoes, Wine tasting and Great local Restaurants and last but not least the Sierra Monchique mountains and many traditional white washed towns and villages. Absolutely! Look for our Silver Rides Only package (20 – 24 Feb) to get on this tour without any add-ons or accommodation. Each day join the Practice Bicycle Team at a convenient meeting point in Portimao, just like you would for a ride back home. Fully escorted and supported to the best viewing locations to catch the Volta Algarve stage race action live, including your own opportunities to ride and discover this amazing winter cycling destination. Whether you have years of cycling experience or are new to the bike, cycling in the Algarve is amazing, if you’re also a fan of professional bike racing, this trip is for you! Each cycling route during your Volta Algarve bike tour will be tailored specifically to your bike riding ability and experience, so pick which ride distance is ideal for you to catch up with all the race action on the sunny roads of the Algarve this February. On each of our tours we tailor the daily rides to the riders and weather conditions, including actual stage routes on the itinerary. Practice Bicycle has developed 70+ routes in Algarve for riders of all levels. To get an idea of what sort of rides you will be doing, have a look at a sample of our rides in Algarve. Why do you choose to watch several stages of the Volta ao Algarve bike race? 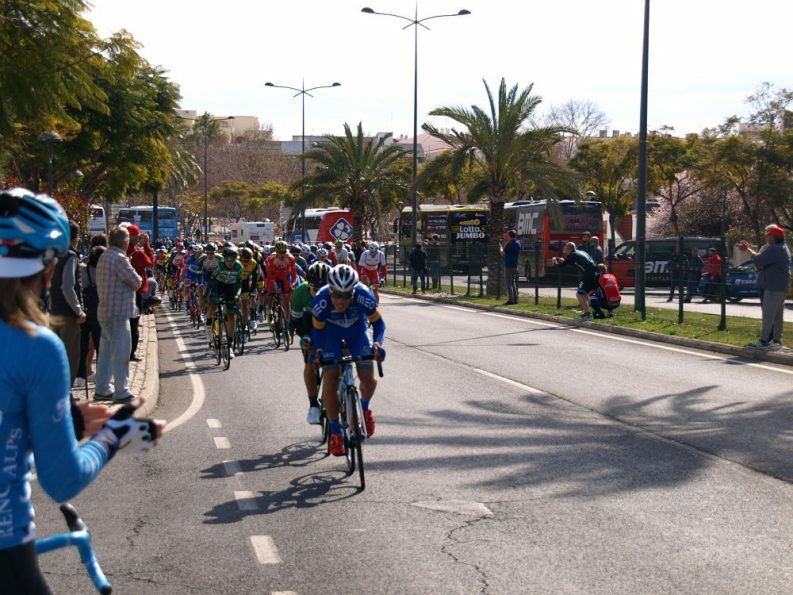 Our specialty bike race tour week to the Volta ao Algarve includes viewing the race on several stages. With our proven formula ‘Unpack Once, Cycle Every Day’ we maximise your enjoyment of viewing the race action live, contrasting with your own variety of personally tailored rides and the opportunity of enough time to relax and experience your perfect location for the week. 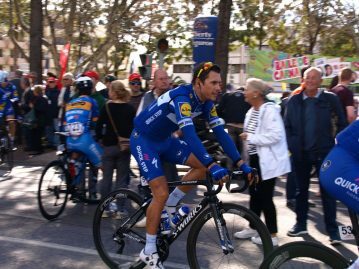 As a Non Cycling guest and bike race fan you experience all the spectacle, excitement and action up close and personal of the Volta Algarve bike race live. Our local support team will share with you culture and villages on route whilst catching up with the cycling group at our ‘Unique live viewing spots’ and cafe stops on each stage. 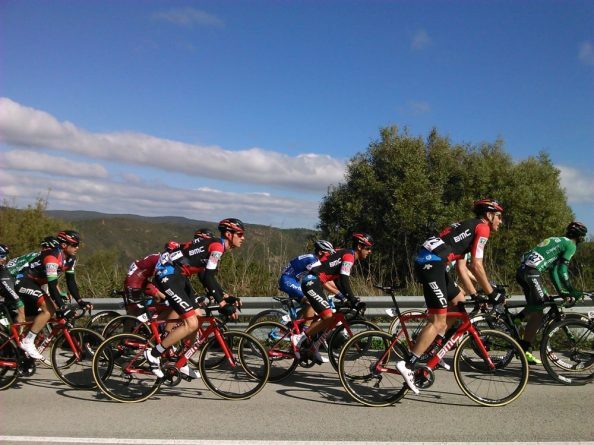 Cafe or Lunch stops facilitated during each action packed Volta Algarve stage. Get your 2019 cycling off to a flying start with 545 km / 350 mile week in the sun! Insight to stage race action live from the roadside each day with stage starts, sprint finishes, mountain action, time trial power. 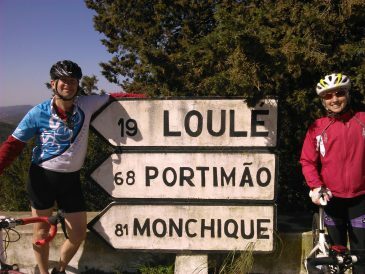 Amazing value, friendly Portugal, superb cycling & great local food!